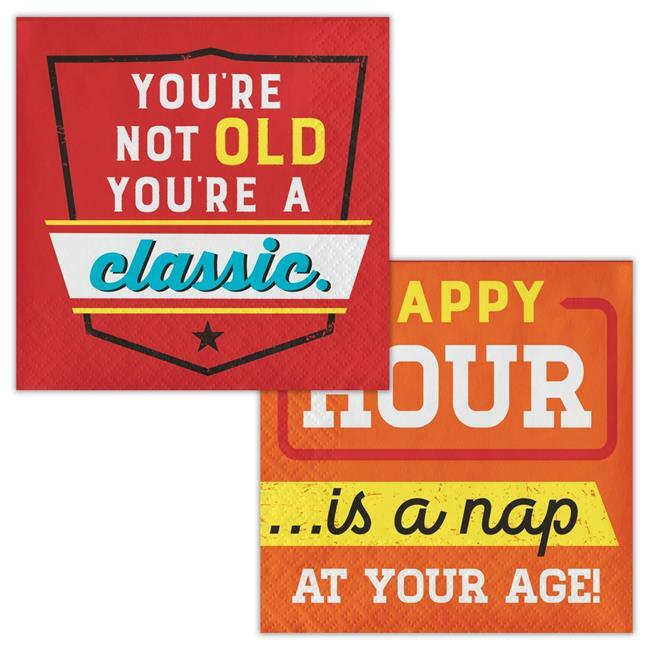 Show youve aged with grace when you use the humorous Old Age Humor You're a Classic Beverage Napkins. These 2-ply paper napkins measure 5''and feature two prints of different jokes on opposite sides set against colorful backgrounds. These disposable paper napkins coordinate with all Old Age Humor party supplies.